Ocean First Education is an active contributor to the field of marine science through our own scientific research. This depth of knowledge serves as the foundation for our extraordinary educational coursework. We are committed to documenting and sharing our findings with other scientists and educators, and offering our insights to researchers and journalists who share our passion for ocean education and conservation. 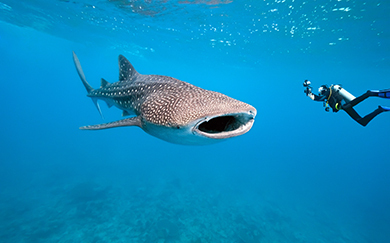 Swim along with us as we explore and share our discoveries with you. We’re based in Boulder, Colorado but our love of the ocean takes us around the world as we participate in conferences, research and exploration. Check here for our latest company and event news. 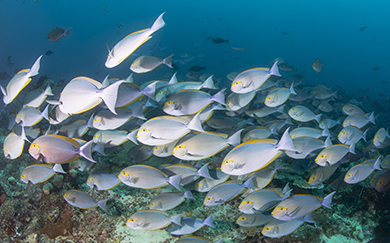 Through our research and education efforts, we contribute to the field of marine science in a variety of ways, and sometimes we even make headlines. Check here for media coverage featuring Ocean First Education. We are passionate educators, scientists, and researchers seeking to guide students toward a greater understanding of and appreciation for marine science and conservation. Check here for more information about us. Education is key. In partnership with Discovery Education, we are taking you on a deep dive into the sea to explore the world's coral reefs. 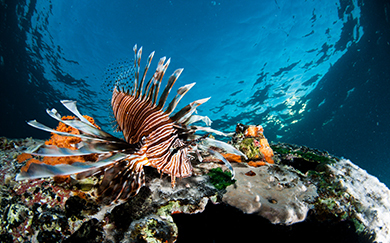 Join us to explore the biodiversity of the coral reefs of the Caribbean and Indo-Pacific Oceans. Students will learn how shifting land masses impacted the number and types of organisms in these regions and how to identify the distinguishing creatures of each. Appropriate for grades K-12, the expedition features interviews with Ocean First Education founder Graham Casden, director of science and research Caine Delacy, and director of curriculum development Catherine E. Christopher, who discuss marine ecology and biology, the effects of mankind and evolution on our oceans, and the role students can play in protecting the health of our ocean for future generations.